Important data needs to be backed up regularly, whether it’s your family photos on your laptop or smartphone or your business files on your office PC. If your device is lost, stolen, or fails, you’ll have lost valuable information that may never be recovered and can cause emotional or financial damage. At home, you can back up to physical storage devices such as an External Hard Drive with prices from €45 (for 500GB) or use Cloud Services such as Microsoft One Drive which allows 5GB of free storage or 50GB for €2 per month. Google Drive will give you 15GB for free and Dropbox allows their users 2GB free and will give you up to 16GB space if you refer your friends. In business, the accepted rule for backup best practices is the three-two-one rule. 1. Having a Server in your business allows PC Users to share and save their data on a storage device with redundant hard disks which lowers the chance of losing data. 2. 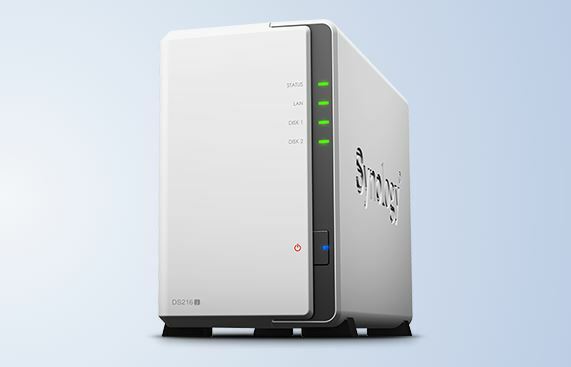 The Server is then backed up to a Backup Storage device such as a NAS (Network Attached Storage) device and should be physically stored away from the Server. The benefits of using a NAS device instead of External Hard Drives or Tapes is that it is more reliable, it allows for file sharing, it is faster and offers disk redundancy. A NAS can replicate your whole operating system, software applications and user profiles and allows for much faster recovery if your Server fails. 3. There are several different options for your third offsite copy. I. Back up your critical data to an External Hard Drive (HDD) which you then store outside of your building. II. Back up to the Cloud. You can opt to 1.) Back up your critical data in the cloud 2.) Have a Cloud Disaster Recovery Solution in which your Server is replicated in the cloud 3.) Host your entire Server in the Cloud. Cloud pricing is based on how much storage you use per month.